Our Washington D.C. genealogists are available to research on location. They will find and analyze the best records available to further your family history research. They can search the archives and libraries in Washington D.C., as well as help you with other special requests. Our researchers are available to visit local archives and libraries to access unique record collections to help with your research. Below is a list of a few of the archives our Washington D.C. researchers have access to. While not all of these archives are found in D.C., all are in close proximity. The National Archives I is home to a collection of national federal censuses, and records of passports, homesteads, prison records, and federal employees. Their records also contain pre-WWI military service and pension records, passenger lists, and naturalization records. There is also a huge selection of articles on different ethnic groups such as the Native Americans. The National Archives II houses government documents created after 1900. The United States Departments of Agriculture, Commerce, Education, Health and Human Services, Justice, State, and Treasury all have documents at the National Archives II. Other documents found here include modern military records, passport applications, and District of Columbia records. The office of the Bureau of Land Management Eastern States contains original land records of all transfers of federal U.S. land east of the Mississippi River. These include land sales, homesteads, bounty land for military service, and records of mineral and timberland rights transfers. Plat maps, tract books, and original patents can be found here as well. The headquarters of the Daughters of the American Revolution and their main library can be located in Washington D.C. The archives here contain one of the largest genealogical collections in the United States. The book collection holds more than 100,000 volumes that focus on people and places throughout the United States, with a special focus on the generation of the American Revolution. Information about individuals from the colonial period and the 19th century is also found here. Daughters of the American Revolution (DAR) Library, Washington D.C. The District of Columbia Archives contain information from a variety of sources over a wide period of time. The archive’s records include birth certificates from 1874 to 1916, death certificates from 1872 to 1934, marriage certificates from 1870 to 1965, and wills and probate records from 1801 to 1999. There are also apprenticeship indentures from 1812 to 1893, guardianship and administrative bonds from 1862 to 1939, and D.C. jail committals from 1850 to 1934. The Gallaudet University, located in D.C. is a private charter university for the deaf. It contains several in-depth archives on the history of the school and its students. The library collections include 19 indexes of birth, marriage, and death records from deaf publications. They also have Gallaudet alumni cards, Gallaudet faculty and staff cards, manuscripts, photographs, and biographies. Officially, the Historical Society of the District of Columbia covers the U.S. District Court (and the U.S. Court of Appeals for Washington DC only). However, the society has had a larger influence and been involved in litigation involving different federal agencies. The collection also holds oral histories, biographies, and a selection of papers. 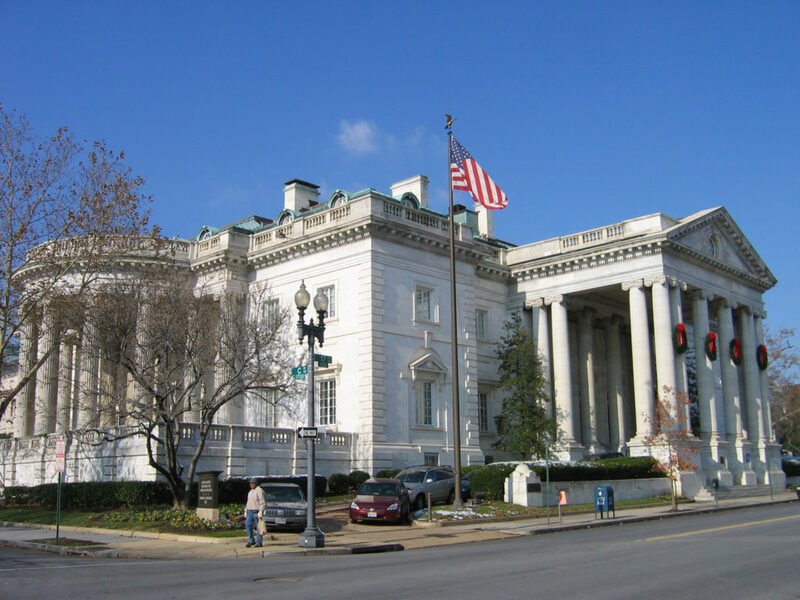 The Historical Society of Washington D.C. has such a large genealogical collection that their archives are referred to as the “state archives” for the District of Columbia. Their holdings contain records of local history that date back 200 years. This includes family histories and information on notable individuals, personal papers, records of organizations, businesses, religious institutions, and local houses of worship. The Library of Congress is known as one of the largest libraries in the world and their genealogical collection is as impressive as the rest of their holdings. Their articles number at 50,000 genealogies, 100,000 local histories, and collections of manuscripts, microfilms, maps, newspapers, photographs, and published material. These collections have been created from materials located all over the world, including North America, the British Isles, and Germany. They also have specialized collections on African American and Native American genealogy. The National Genealogical Society focuses on the growth of the genealogical community by maintaining an excellent collection of genealogical sources and training other individuals in genealogy research. It has been referred to as the premier family history society in the United States. They have several genealogical books available on loan such as more than 6,000 family histories, state, county, and local histories, vital records, deeds, and probate records. The National Archives vast holdings provide access to U.S. government records from colonial times to the present. The Archival Research Catalog online indexes thousands of documents, including applications for enrollment in Native American tribes, fugitive slave cases, military personnel records, naturalization records. Research fees in the National Archives at Washington D.C vary according to the request. The Register contains wills for 1879-present. The U.S.D. 1812 Memorial Library has genealogical records that focus on the period from end of the American Revolution through the ratification of the Treaty of Ghent in 1815. Our Washington D.C. genealogists specialize in researching several types of documentation and are not limited to the list above. For more information or specific inquiries about our genealogists, please feel free to contact us.